Everybody wants to see latest information, outdated information often results in loss of business. Hiring full-time employees to manage the content of your website may increase your expenses. New Era can help you by offering highly effective solutions at a much affordable cost. The up-to-date content on your website can be effectively used as a tool for communicating with your target customers and increase the conversion rate. Your website is your online resume from where people know about your business , business value and offerings. So content must be managed in such a way that it should be easily editable, updated and highly responsive irrespective of its format. CMS based website designing and development requires deep knowledge, experience and creativity. The expert team of professionals at New Era have years of experience in web application development, which is one of the top featured services of our company. Our professionals can design and develop CMS based websites using different scripting language, preferably PHP/Mysql and make your website good looking, traffic retaining, easy to navigate and flawless. We deliver projects on time without compromising on the standard of quality. 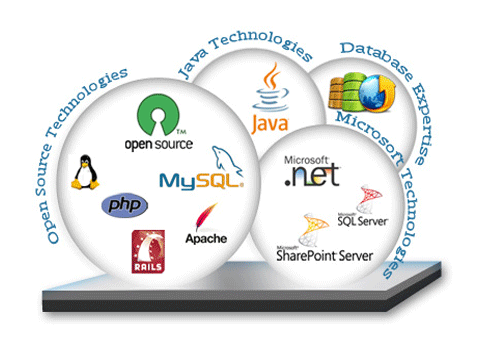 The web applications developed by us go through stringent quality checks before being implemented. One can add and manage contents, news, information, photos and videos anytime without the help of webmaster. The content may include business records, customer service information, images, documents, digital contents, e-mail, records and help editors to correct, add or change the information quickly without the support of technical staffs to provide relevant content that suit your business best.